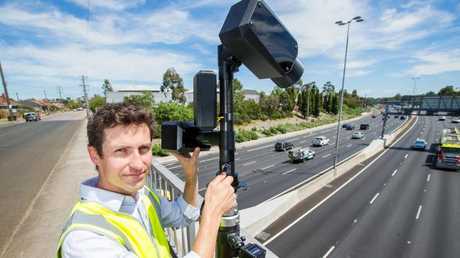 A hi-tech camera which can detect people using their mobile phones while driving was trialled in Melbourne. Picture: Mark Stewart. DISTRACTION is one of the leading causes of fatal road crashes in Australia but new hi-tech cameras that detect drivers using their mobile phones without them even knowing could soon change everything. 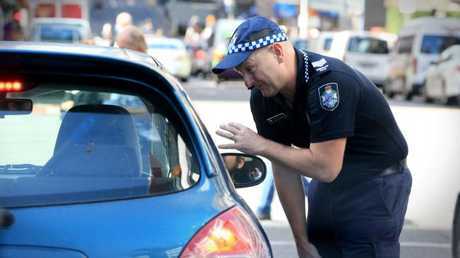 A New South Wales Police spokesman told news.com.au that officers currently "use a variety of methods to detect drivers using their phones while driving". 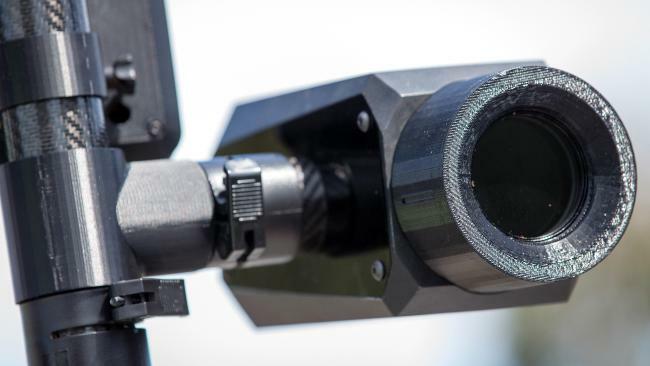 "Line-of-sight, by trained officers is the primary method of detection, however, long-ranged cameras have been used with success, and helmet cameras in motorcycle police continue to be used," the spokesman said. But that technology could soon be replaced by stationary cameras that automatically issue an infringement notice without the driver even realising they've been sprung. NSW Police Highway Patrol boss, Assistant Commissioner Mick Corboy, told the Nine News there were "emerging technologies coming out". "So the way we are going to defeat this is by video evidence, by photographic evidence and we are looking at everything possible around the world at the moment and we think we'll get something in place fairly quickly," Mr Corboy said. His comments came after NSW Minister for Roads Melinda Pavey put out a call on Tuesday for potential providers to present "practical, technology-based solutions to address the problem" of mobile phone use in cars. 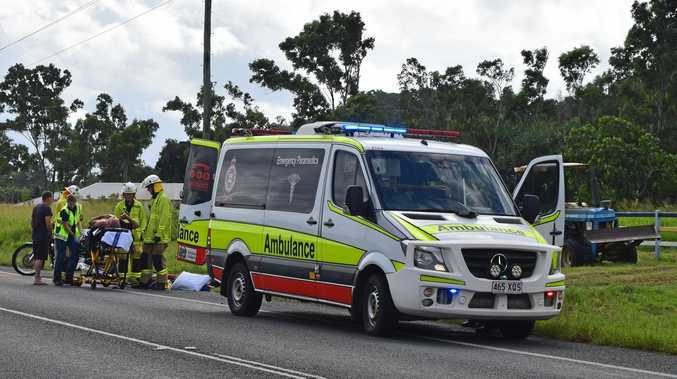 "Developing this technology would be a world-first and is one of the priorities of our Road Safety Plan 2021 that we announced," Mrs Pavey said. Mr Corboy said in a statement earlier this month that too many people made "poor decisions" while driving. "Every fatal crash is a tragedy for not only those involved, but for the families they leave behind," he said. "The most frustrating part about it is that most crashes are preventable if people slow down and take responsibility on our roads." In NSW, motorists caught using a mobile phone while driving can be slapped with a $330 fine and a loss of four demerit points, regardless of whether they're repeat offenders or not. Like the ACT, Western Australia also has a separate specific offence for motorists caught texting while driving. "WA Police Force is constantly looking for new ways to target offences frequently linked to serious and fatal crashes on our roads, including inattention through mobile phone use," a WA Police spokesman told news.com.au. "The penalty for using a mobile phone while driving is $400 and three demerit points." In Queensland, motorists can be fined $378 and have three demerit points recorded against their traffic history if they are caught holding a mobile phone for any reason while driving - that includes when they're stopped at traffic lights or in congested traffic. Learner and P1 drivers are prohibited from using hands free, wireless headsets or a mobile phone's loudspeaker function. "At this time the QPS does not have technology to detect drivers using mobile phones," a QLD Police spokesman told news.com.au. 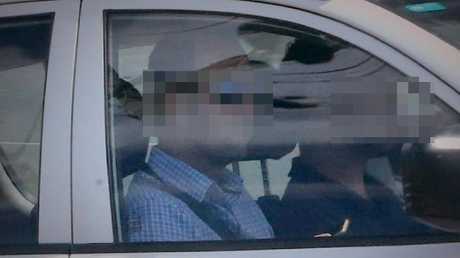 A red-light style camera capable of photographing drivers illegally using their mobile phones was trialled in Melbourne, Victoria last year. 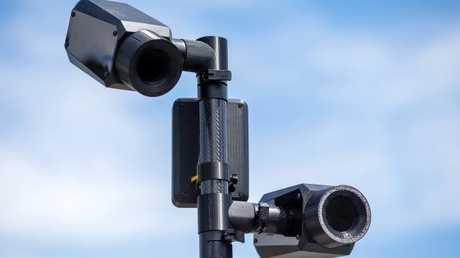 The technology - touted as a world first - detected 272 culprits during a five-hour test across just one lane of the Eastern Freeway, the Herald Sun reported. 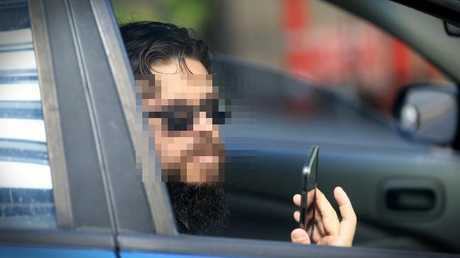 A driver who was booked for using his mobile phone while driving in Brisbane. Picture: Jamie Hanson. A South Australia Police spokesman told news.com.au the state "doesn't have any technologies to assist in the detection of driving while using mobile phones". As of November 11, 2017, the fine for using a mobile phone while driving was $327 plus a $60 government levy - totalling $387 coupled with three demerit points. Drivers are permitted to touch their phones only if they are making or receiving a call on a device mounted to the vehicle. "To avoid doubt, nothing ... authorises a person to use a mobile phone by pressing a key on the phone, or by otherwise manipulating the body or screen of the phone, if the phone is not secured in a mounting affixed to the vehicle," the legislation reads. The SA Police spokesman said it was "not unlawful to pull over to the side of the road to a place where it is legal to stop and make or receive a telephone call". "There is no requirement to turn off the engine," he said. "Although the rule that relates to mobile telephones does not say that the vehicle must be in an area where it is legal to park, other Australian Road Rules apply. "To put that into context, it is not legal to park at a set of traffic lights, therefore it is unlawful to use a hand held phone while stationary at those lights." Acting Sargeant Paul Stanford talks to a motorist in Brisbane City. Picture: Jamie Hanson.